Poetry comes in many forms, including sometimes being wrapped in what at first glance may appear to be the most mundane of shells. Tonight’s project is just like that, a humble building built with straightforward and inexpensive materials, and one that presents an ordinary visage to the world. It is not a terrible visage, to be sure. It is well proportioned, it is in dialogue with the surrounding buildings, and there is a hint that something different is going on inside. It is an unassuming face that it presents to the world. 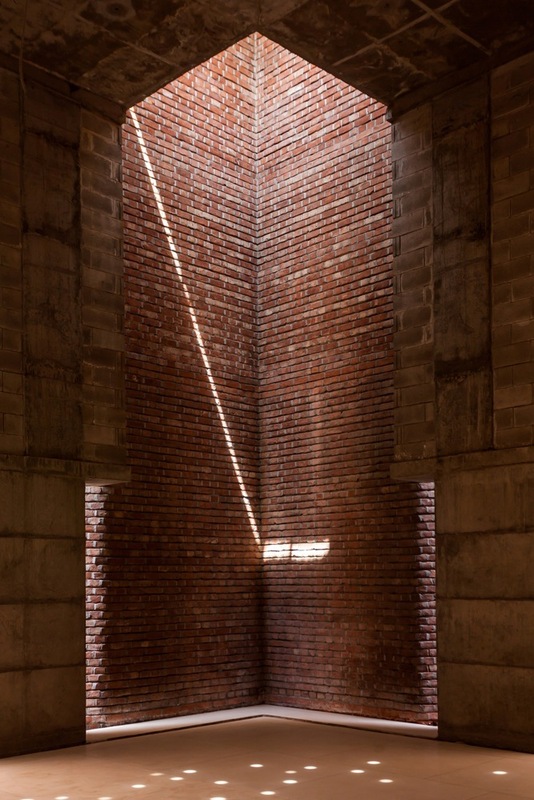 Inside, it is the space – that which makes architecture, architecture – where poetry erupts. 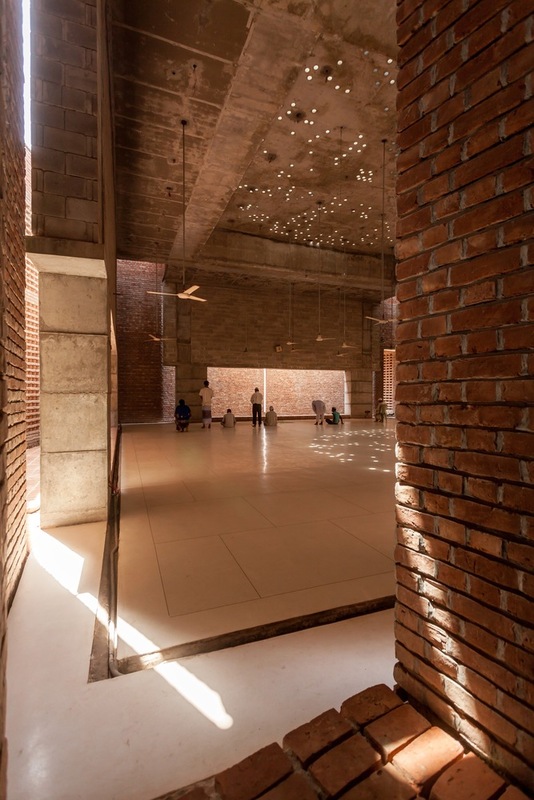 The main hall within is canted 13 degrees to align with the qibla, immediately creating a bevy of sculptural ancillary spaces. Used to great effect, they function as entry courtyards, apses, and towers, narrating the way from the outside to the sanctum within. Inside, the hall is squat and expansive, compressing the space horizontally. 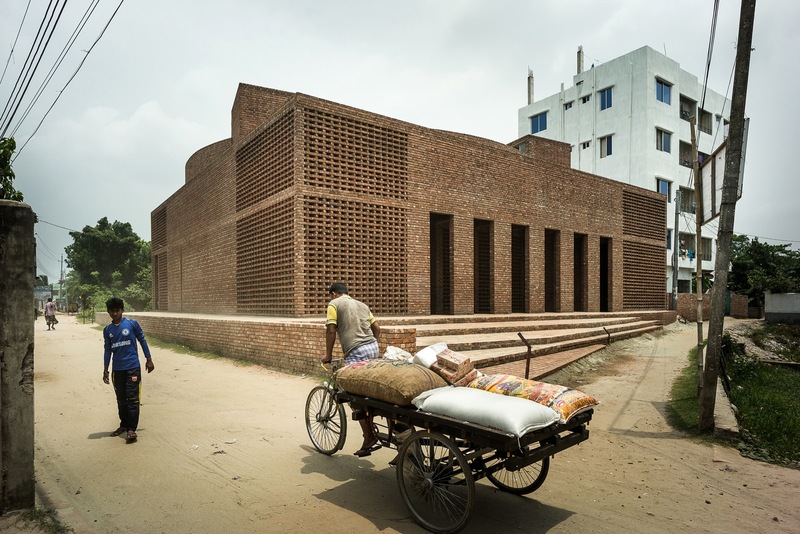 At first thought, all that brick and concrete, coupled with a low ceiling, may seem like a recipe for an oppressive experience. 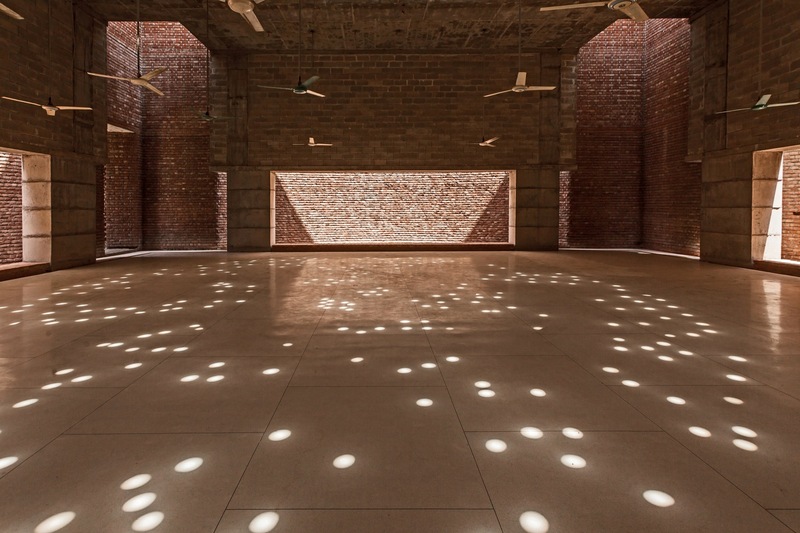 Yet every corner blows upward in shafts of light, every side is a portico emblazoned with sunshine, and the ceiling features a burst of luminous dots that cast their rays onto the floor in an ever-dancing pattern. And the finely honed and polished floor, contrasting strongly with every other piece of the building, calls attention to itself and to the relationship of the body and the ritual to that floor, and to all those around you who stand on that special surface. The space radiates with intimate connection, both to your neighbors and also to the greater universe at large. Architecture is about craft of space, the merging of purpose with form. Rough and tumble materials in mundane locations are not hindrances. When the intent burns bright, and the creative fire is unleashed, powerful and moving spaces are always possible.